What is the best classic car? When you’re starting a new magazine called Classic Motorsports, it’s a question that has to be asked to help determine the cars that will receive attention. So as we were developing this first issue, we went to a variety of people who are closely associated with the classic car hobby and asked them to help us answer the question. We started with Jay Leno, one of the most visible enthusiasts in the sports car world, and then queried 10 other well-known and respected industry insiders. The responses were fascinating in their breadth and variety, indicating the sweep across time, geography and budgets represented by this hobby. Perhaps their choices in each category will give you some ideas. Asked simply, “What is the best classic car?” not one of our enthusiasts had a ready answer. In one way or another, everyone said there are just too many to choose from. “Best classic car for what?” was usually the first response, with “What do you mean by ‘classic car’?” coming right on its heels. Defining some categories helped our friends get their arms around our question, but by refusing to define the term “classic car” we kept responses open-ended. The results were eclectic, to say the least. Nationalities represented included England, Italy, Germany, Japan and the United States. The years of production ranged from the 1934 Bugatti Type 57 through the 1979 Mazda RX-7, even with the “future classics” excluded. Current value of the picks showed a comparable range, with the least expensive—even outside the “budget” category—worth less than $5000, while the most expensive mentioned were over the million-dollar mark. Horsepower wasn’t a criterion of “best” either, with some of the favorites well under 100 and others over 500. Talk show host and enthusiast extraordinaire Jay Leno’s collection, in microcosm, represents all the variety that we found in our other interviews. Jay has everything from steamer to gasoline, small to large, slow to fast, and cheap to priceless poised to take him down the road. As we explored the buildings near Burbank Airport that house Leno’s restoration shop and car collection, we discussed with him the question of what was the common attraction. Each of the cars was beautiful in its own way: some in the sweep of their lines, and some in the craftsmanship inherent in their components. But these were not just static pieces of art. “It’s the mechanicalness of them that I like,” Jay said several times. “Once you’ve taken them apart and put them back together again, there’s no mystery; nothing’s hidden.” This lever pushes that valve, that spark ignites this mixture of gas and air, which pushes that cylinder to turn this gear to rotate that wheel. Sure, they’re complicated, but they can be pulled apart and understood. Once they are put back together and driven, Jay noted in several different ways, they almost come alive. Artistry, “mechanicalness,” and motion are the elements that link together the variety of cars selected by our friends as the best classics. Denise McCluggage, auto columnist and ex-race driver, didn’t hesitate. She selected the original Mini Cooper S. “It cost very little money, then or now. You could haul the groceries home or go out to dinner with friends, and then you could take it racing on the weekend.” You could even dump it on its head, roll it back over, and drive it away, as Denise and other test drivers proved when they barnstormed across the country as part of the original product launch. “What more would you want a car to do?” she asked. Two Jaguars make this category. Jay gave his vote to the XK120/140 for its combination of performance and, by today’s standards, traditional sports car good looks. Howard Turner, head of Historic Sports Racing and Sports Vintage Racing Association, opted for the E-Type for its “outstanding performance and unmatched beauty,” but he does acknowledge that, “in the wrong hands, these cars might not be practical as daily drivers.” Nevertheless, he drove one through all of the ’80s and had few problems. Tim Suddard, publisher of this magazine, and Kas Kastner, former competition manager for Triumph and Nissan, still wanted a little more practicality. Tim chose the MGB as best for its “timeless styling, fun, low maintenance and utility.” Kas selected the TR3A, cars he’s been familiar with since they were new, because they’re “neat, easy to work on, built like a tank,” and offer a solid support network of clubs and parts sources. 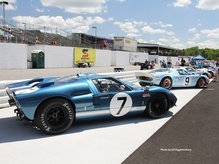 Rob Myers, CEO of RM Auctions, just has a thing for 289 Cobras. He picks the leaf-sprung, slab-side car as the best all-around classic, though he’s clearly putting fun a bit ahead of practicality. But then, he also chose that car for vintage racing, and it’s his favorite of all the cars he’s ever owned, so he is speaking from emotion as well as experience. Paul Dean, editor-at-large of the Robb Report, would take a different approach. He’s got his eyes open for a ’50s Bentley Continental. Not the pricey 1952-’55 alloy-paneled R-type, of course, but rather the more reasonable S2 or S3. They offer the same classic fastback styling with sedan practicality as the Mulliner-bodied R-types, but can be found for the price of a good Austin-Healey if one looks carefully. Barry Meguiar, car care products magnate and TV/radio car show host, also looks beyond the obvious to choose a best all-around classic. For this purpose, Barry would look for a 1946-’48 Ford Woody. They’re useful and funky at the same time. And there’s all that coach-building history and tradition wrapped up in the wood paneling, if you don’t mind the maintenance required when you’re driving a piece of fine furniture around the streets. Perhaps the most interesting selection in this category came from Jamie Kitman, senior editor of Automobile, who is known in enthusiast circles for displaying a broad appreciation for automobiles in the dozen or so cars he currently owns. 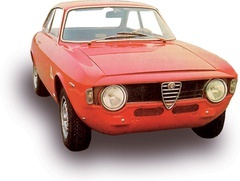 Jamie picks the 1966-’74 Alfa Romeo GTV, “the first Alfa that might be considered a practical daily driver, with room for two adults and two children, a large trunk, and pert Italianate looks” that attract him as much now as when he first admired them as a boy. Asking our friends which classic they’d recommend for a novice on a budget made them squirm with indecision more than did any other question. Denise simply laughed and said, “Tell them not to waste their money; there isn’t a good classic for a person on a budget.” She suggested that budget shoppers would just be disappointed and would be better off going to the races, or enjoying cars in other ways. The point of course, echoed by others, is that the less you spend at the outset, the more you’re likely to have to spend later, which is a recipe for being unhappy in the hobby. Nevertheless, almost everyone else was able to suggest cars that would be fun and still be at the low end of the cost scale. Both Jamie and Paul suggested the MGB, the car that Tim had recommended as best all-around. Because there are so many British classics available, they’re easy to buy and maintain, Barry notes. He suggestd the Austin-Healey 3000 MkII, the least expensive of the convertible big Healeys. Craig, who has a pretty good idea of prices and which cars are easy to buy and sell, suggests the MGA, which he notes is not expensive now and seems to have a growing following. However, for the person who likes Autolite more than Lucas, he’d recommend an early Mustang for its current reasonable price and growing group of fans. Rob, also a man who knows the value of various cars, sees budgets as relative things. His suggestion is very specific. He recommends the 1960 Ferrari SII PF coupe, which he notes is now selling for $40,000-$50,000 and offers great driving satisfaction and the cachet of the black stallion logo with a better chance of gaining in value than many of the more common cars on this list. Tim likes the idea of racing Porsches as well, even though he’s currently racing his TR3. 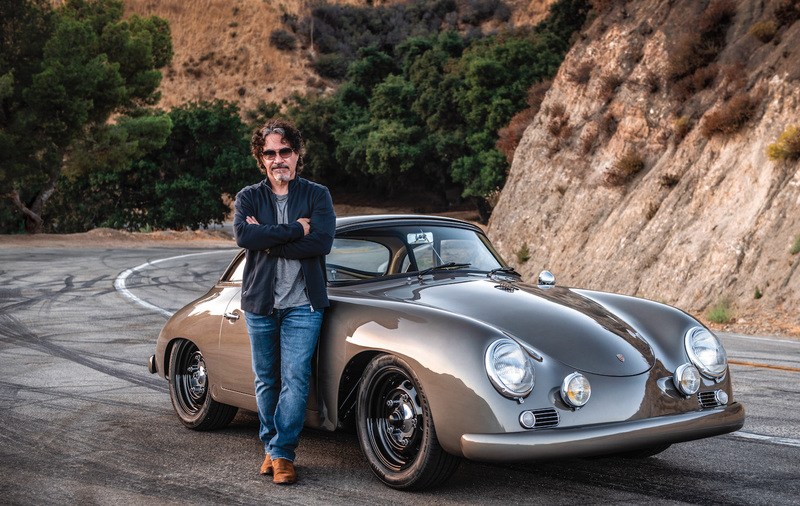 If he were building another race car, however, he’d opt for an early Porsche 911 because they were strong to begin with, and almost a race car in street form. 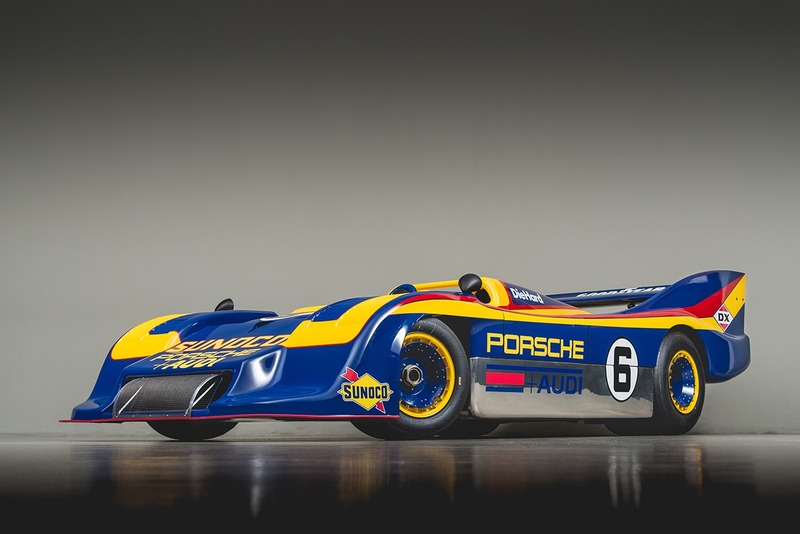 Further, he notes, “Unlike other race cars, you can usually get back what you’ve invested,” since even 911s with no history but good preparation can sell for $50,000 or more. Rob and Howard are in the “more power” side of the pit. They both would choose the Cobra 289 as their race car. Howard does, in fact, currently race a 289, which he says is “a hoot. Gobs of torque, and a suspension that is, shall we say, somewhat eccentric, making life in the fast lane truly exciting. And you will be in the fast lane in a 289.” Agreeing with Rob on the builder, Craig would take a Shelby, but his would be the GT350, though he would also enjoy racing a Mercedes 300SL gullwing. Barry likes the Ford idea, too, but he’d take a 1969 Mustang Boss 302. Craig, one person we would have thought would have had a ready answer, said just, “If we only knew….” However, most of the others had some ideas to offer. Jay, Denise and Tim all suggested the same car, the Mazda Miata. Lest this seem surprising—after all, rarity is supposed to determine value, and there are zillions on the road—they all independently offered the same defense. “Who would have thought that early Mustangs would now be going up in value?” Denise asked rhetorically. Maybe the appreciation isn’t going to put a grade-school child through college, but all three agreed that these cars would hold their value and begin to appreciate as soon as they are eventually taken out of production. Rob would poke around the Ferrari stable, and see if he could find a 512 Boxer or a 288 GTO, since he thinks their prices can’t go anywhere but up. Paul wouldn’t even be picky; he’d take “any recent Ferrari” as a great choice for future appreciation. Tim says pretty much the same thing about the BMW E30 M3, of which the last were built in 1991; only 5500 were imported into the States. “This car screams ’80s boy-racer, with its wings and box flares. The barely-disguised, no-compromise F1 engine makes this car one-of-a-kind. The price was as low as $10,000 and has now started to go up fast.” Tim thinks these will be $50,000 cars in the not too distant future. But would he be willing to sell it then, even to pay the kids’ tuition? Steve and Barry wouldn’t even bother to look at import cars. Steve still likes the ’60s Vettes as best all-around classic cars, and notes where their prices have gone. He thinks the new cars have the same charisma, and exceptional performance, so he’d be storing a new Z06 in his time vault. Barry likes the same idea of performance, but in his time vault, he’d be polishing any Dodge Viper to keep its finish looking new. The topic that can be counted on to generate mega amounts of words on any gearhead bulletin board is the choice of ultimate classic car: Cost is no object, but you can only pick one, and you can’t sell it, that sort of thing. While this question was certain to produce a far-away look in the eyes and a small upward curl on the edges of the lips for an instant, none of our enthusiasts had trouble making a choice. Jay had only to walk a few feet away from the TR3 and MG Midget in his garage to show us his choice, the McLaren F1. In his view, this is the best car that has ever been built, and perhaps the best that ever will be. Under the panels, we could see materials and craftsmanship that would only be used in a space capsule—or a Formula 1 car. Of course, that’s not surprising since this car is an F1, with vestigial seats hung on either side of the driver’s central seat, and the whole thing cloaked in fenders and a top. Reaching back into the classic past, Jaguars got the votes of Craig and Howard, as both chose the chassis that won twice at Le Mans. Howard would take the D-type version, while Craig likes the XK-SS version, with its sort-of-soft top and windshield, red leather interior, and just-for-decoration luggage rack screwed to the aluminum rear shroud. The cars certainly are as attractive as any that ever rushed the Mulsanne Straight at close to 200 mph, but those who have had the chance to drive them talk just as glowingly about their impeccable street manners. Kas likes the idea of Le Mans winners, but he prefers the earlier C-type, with its alloy panels and tube chassis clothing an XK120 drive train, offering similarly pleasant use as a street car when it isn’t being raced with passion. Ferraris appeared on the lists of several members of the group. If Craig couldn’t find one of the 16 XK-SSs produced, he’d settle for a Ferrari GTO or Alfa Romeo 2.9. Howard agrees on the GTO, which would be his ultimate choice, though he’d settle for the D-type. Rob dreams of a Ferrari Testarossa, the older the better. Steve isn’t quite as particular; he would take “any Ferrari if the SCCA budget would stretch far enough” to buy one for him as a company car. Barry would reach even further back, to the glorious teardrop-styled Talbot-Lago coupe, one example of which took Best of Show at Pebble Beach a few years ago. After allowing the group to indulge their tastes to the ultimate, we brought them back to reality when we asked them to tell us about their favorite car from among all of those they’d ever owned. At this point, the look in the eye became even farther away. They weren’t just dreaming about what it might be like to own and drive any car in the world, they were remembering one specific car, with all the personal memories that car evoked for them. For Denise, the choice was a car she had owned in the ’60s when she summered in the mountains of New England. She laughed as she remembered tooling down the roads to pick up groceries or whatever in the village in her Mini Moke, which she could “just jump into… and go anywhere.” During a time when English cars were an unusual sight, she was having fun driving a minimalist jeep-like vehicle without even any doors, built around Austin running gear. For anyone with first-hand experience of them, there certainly is a charm in those early minimal utility vehicles. Paul has recently restored a 1942 Ford GPW, which he calls “Willy.” It’s the Ford version of the car that several companies built during World War II, which from its initials became known as the “Jeep.” Paul remembers driving one out on the tarmac to his plane when he flew for the Royal Air Force, and now enjoys driving his restored version around Scottsdale, Ariz., where he lives. He even crashed a recent Veteran’s Day parade of military vehicles in Scottsdale, taking one of the trophies home with him. Rob can’t limit himself to one country or style. His favorites from among the cars he’s owned are the prewar open touring-bodied Bugatti 57 and the 289 Cobra. Both get down the road with style, but produce very different types of satisfaction once one learns to drive them well. Craig, successor to his father and his father’s partner in the classic car auction business, remembers the 1938 Delahaye Figoni e Falaschi Cabriolet that he bought and restored to a quality that won a class award at Pebble Beach. Of all the cars he’s owned, this is the one that he would buy immediately if it ever became available again. Somehow, when Barry moderates one of his classic car shows on the Speed Channel, especially one focusing on hot rods or muscle cars, it isn’t hard to picture him around a similar car when he was young. Thus we weren’t too surprised that he would identify as his favorite from among all the cars he’s owned a 1957 Chevrolet Bel Air. Top down perhaps on a warm summer evening, AM radio playing a top-40 rock-and-roll song, just the sort of memories that have made the Chevy Bel Air a valuable and collectible icon. Jay showed us a number of cars in his collection that, from his descriptions, could have been his favorite car, since many of them were the same models he had owned at various times in his life. But for Jay, driving is a pleasure all its own, so when he finally chose his favorite from among the cars he owns, he selected a little barely-two-seat car with fenders and lights that would meet the bare minimum to make the car street-legal. Called a Rocket, it’s actually a component-assembled car, with the chassis and fibreglass body purchased and a motorcycle engine installed. With its unbelieveable power-to-weight ratio, he says it’s the most fun to drive of any car he owns, making him grin every time he blasts down a deserted road. The only tin-top in this category, the GTV offers an exceptional combination of practical utility, with seating and luggage space for a family of four, and stylish Italian design, with free-revving performance and the handling finesse of a true sports car. Unveiled in 1966, it was overshadowed by its Spyder Duetto sibling and is still an overlooked jewel. The rarer, lightened GTA is a good choice for vintage racing. Carroll Shelby’s inspired mating of British styling and suspension with raw American power, the Cobra turned American road-racing on its ear and became the icon of performance cars. Suddard and Myers both prefer the more conservative leaf-spring 289 over the wild, coil-sprung 427. While cars from the first production run are ultra-valuable, examples are still being manufactured to original specs today, and a variety of reproductions are available. Introduced in 1955, the TR3 was the cosmetic and performance evolution of the 1952-’55 TR2. Preserving the TR2’s low doors and swooping fenders, the TR3 benefited from a more powerful engine, front disc brakes, and a more attractive grille. Leno notes it is bullet-proof and “makes all the right sounds,” while Kastner says it is “easy to work on, and built like a tank,” and has a great network of clubs and suppliers. Transmission: 4-speed manual w/ optional o.d. 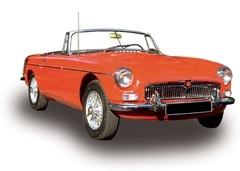 Introduced in 1962, the MGB was the best-selling MG of all time, remaining in production for two decades. Its monocoque body gave it a solid feel, and a nicely trimmed interior with roll-up windows and a decent soft-top made it a practical daily driver then and now. The four-cylinder engine provides enough grunt for the car to hold its own in traffic, and with overdrive it’s comfortable for long trips. Parts are easy to find and the support network is extensive. 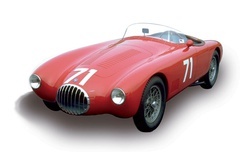 Built by the Maserati brothers under the Officina Specializzata Costruzione Automobili initials, OSCAs were purpose-built, tubular-chassis, alloy-panel race cars that by the mid-’50s were trickling into the United States for road-course competition. With the 1500cc engine, the OSCA of Stirling Moss and Bill Lloyd took a class victory at Sebring in 1954, but Denise McCluggage fondly remembers the “lovely” 750cc she drove at Sebring in the late ’50s and would enjoy racing that or her 950cc version again. The RS 60 was basically an updated version of the works RSK race car that had preceded it. 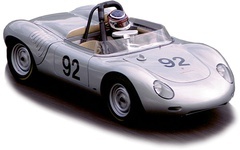 This new Spyder introduced the racing world to Porsche’s strategy of putting cars into the hands of privateers as well as factory drivers to ensure the marque’s dominance on track. The approach paid off immediately, as a private entry claimed second overall at Sebring in 1960 behind the winning RS 60 factory car. 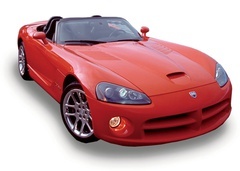 Introduced in 1991, the Dodge Viper is reckoned by many to be the ultimate affordable performance car in the more-cubes, high-powered American tradition, putting emphasis on performance over practical utility. Now in its second generation, and previously available in both roadster and GT bodies, it offers more of everything the performance car fan wants. Prices of the early cars have dipped below $30,000, which may be close to their depreciation limits. The Shelby GT350 was developed by Carroll Shelby to give Ford an SCCA car that would compete with Corvettes. The contender was built on the Mustang chassis with Ford’s new 4.7-liter V8, tuned to produce up to 400 bhp in racing tune. Though designed for racing, most GT350s were sold for street use. Performance and rarity make this car a very satisfying collector classic. From 1954 to 1957, Jaguar produced the D-type for endurance racing, and it won Le Mans in 1955 and 1957. After Le Mans rules rendered the model ineligible, race cars in the factory were finished as road cars with a windshield, soft top, and luggage rack. A fire at the factory brought an abrupt end to production, but the body style inspired the very successful E-Types. Today in either race or road form, the cars typically sell for over $1 million at auction. To find out what cars should be considered classic, we polled Jay Leno and 10 other enthusiasts who play important roles in various aspects of the classic car hobby. Jay Leno, the chairman of our virtual classic sports car panel, is well-known as a talk show host and stand-up comedian, but in the classic car hobby he is just as well-known for his love of old cars of all marques and types. He has been recognized by Meguiar’s as the Collector Car Hobby Person of the Year for his contributions as a spokesperson for the hobby, as well as for his enthusiastic personal participation in car events, driving one or another of his dozens of beautifully-maintained automobiles. Paul Dean is the retired publisher and still editor-at-large for the Robb Report, and writes many of their automobile reviews. Paul was an RAF pilot in his early years, where he developed his appreciation for “general-purpose” (Jeep) vehicles, and was an active sports car racer in the ’50s and ’60s. Now he stays in shape by teaching tennis at one of the resorts near Scottsdale, Ariz.
Craig Jackson is chairman of Barrett-Jackson Automobile Auctions, which stages the largest classic car auction in the world every January in Scottsdale, Ariz. His company is now staging auctions in several other venues throughout the year. Through Barrett-Jackson, Craig has sold at least one example of just about every important automobile ever made, and is himself a vigorous driver of a variety of interesting cars on long-distance road rallies and other events. Steve Johnson is president and CEO of the Sports Car Club of America. Joining the SCCA staff in June 2000, Steve brought the organization more than 15 years of experience in management, including sales management in the National Hot Rod Association. Jamie Kitman is a regional editor for Automobile magazine and author of their regular column “Noise, Vibration, and Harshness,” as well as frequent feature articles. Reflecting his broad love of classic cars, Jamie has an eclectic personal collection that includes a Jaguar MkII, Colin Chapman’s own Lotus Cortina, a Jaguar E-Type and a Morris Minor pick-up truck. Kas Kastner is one of the grand old men of American road racing, having been the team manager for Triumph in the ’50s and ’60s and then moving on to take the same position for Nissan as it became a powerhouse in sports car racing. Nowadays, he is as likely to be found at the tiller of a good sail boat as behind the wheel of a sports car, but he is still a frequent guest speaker at Triumph conventions. Barry Meguiar is more than just the president of Meguiar’s Car Care Products, though his company’s products are recognized as among the best at keeping classic cars looking their best on show fields all over the world. As organizer of an annual award for the classic car hobby’s person of the year, as well as host for radio and TV shows about classic cars, he has contributed significantly to increasing the visibility of the hobby. Rob Myers is the founder and director of RM Auctions based in Ontario, Canada, which each year stages the largest sports car auction in the country, held during the Monterey Historics weekend in August. RM Auctions also stages sales in conjunction with various other high-end events, including Amelia Island and Meadowbrook Concours, and at the Biltmore Resort in Phoenix each January. Tim Suddard is co-founder of Motorsport Marketing, creator and publisher of Grassroots Motorsports, and now publisher of the companion magazine, Classic Motorsports. Tim discovered his love for cars growing up in his father’s Ford dealership in Massachusetts. Howard Turner is chief executive of the Sportscar Vintage Racing Association and Historic Sportscar Racing. A lawyer by training and profession, Howard has been an active vintage racer for almost 25 years. He was one of the partners who started the Walter Mitty Challenge at Road Atlanta in the mid-’70s, which grew into HSR. In 2000, HSR and SVRA were brought together in a cross-ownership alliance. 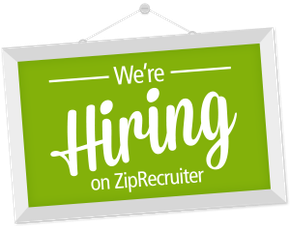 Join Free Join our community to easily find more AC, Alfa Romeo, Austin, Austin-Healey, Bentley, BMW, Bugatti, Chevrolet, Dodge, Ferrari, Ford, Jaguar, Lotus, Mazda, McLaren, Mercedes-Benz, Meyers, MG, Mini, Morris, Nissan, Osca, Porsche, Shelby, Triumph and Volkswagen articles.